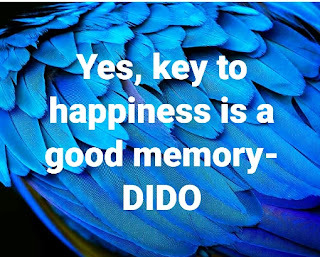 Uncategories Yes, key to happiness is a good memory! Every-man's memory is his private library and one can read at any time by just remembering those moments. At the same time, sometimes you will never know the value of a moment until it becomes a memory. Memory is also more than a dustbin of time, stuffed with yesterday’s trash. Rather, it is a glorious grab bag of the past from which one can at leisure pluck bittersweet experiences of times gone by and relieve them. Ceasare Pavese has rightly observed that we do not remember days; we remember moments and I sometime enjoy, occasionally, a day with my memories. Memory is not an instrument for surveying the past but it is theater and it is the medium of past experience. Recalling days of sadness, memories haunt me and recalling days of happiness, I haunt my memories. But sometime the things that were hard to bear are sweet to remember. We have heard about long-term and short-term memory but another memory category has been conceived and defined in different ways as working memory. Regardless of first two categories of memories – long and short term, the memory which do not correlate well with cognitive aptitudes and other measures, are identified as working memory that seem more attention demanding and do correlate with these aptitudes. One should not ever try to bury your desires and memories as these are the only which will support you to live. The human brain had vast memory storage. It made us curious and very creative sometime. The future which cannot be predicted is also the idea of a brain. Memory is man’s greatest friend and worst enemy too. Gratitude is when memory is stored in your inner-conscious to whom you love most. My memory is very poor, in remembering phone numbers that is why; I always keep a telephone diary with me as the short-term memory only retains information for three minutes unless it is committed to paper you can lose an idea for ever. Even don’t depend upon the electronic gadgets especially when the batter is low or lost or do not respond. But there are certain memories in one’s life which continue to haunt throughout life. To come out of that situation, one should keep in mind to avoid objects and places that trigger the memory, think about the memory until it loses its power, try memory alteration, focus on happier moments, learn to be in the present, form happy new memories, have a busy life, avoid alcohol and drugs, make your health a priority, talk to somebody. Frankly speaking, I recollect few memorable moments when I was taken aback to see one of my female colleagues, who entered my small chamber after a long gap of years but keet standing by opening the half-door when I put a question, before she could speak to me – Is it a courtesy call? 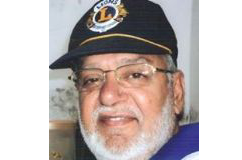 – She flatly said a big ‘No’ but after few days I visited her cabin and I was given a warm welcome and we developed a strong friendly dependable relations till today because of having equations of understanding each other. Really, such old memories are not repressed one and if you promise to behave yourself nicely with others and one continue to live in the hope of becoming a memory. I still hold well that one of the keys to happiness is a good memory.